A lack of affordable housing in North America is a disgrace. 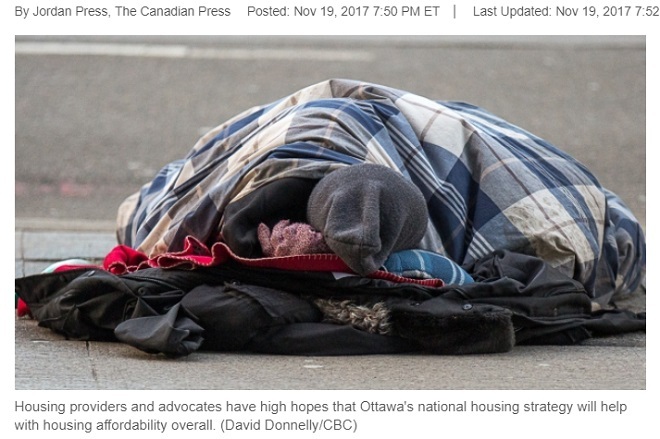 Despite a booming US economy and glowing jobs report, flourishing housing market, affordable housing and homelessness are decades long issues governments can’t seem to solve. 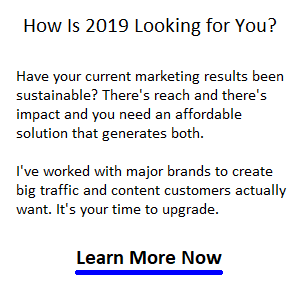 Look at this issue with more depth and concern, you soon discover that housing sales, home equity, low affordability, and homelessness may all be related. Then there’s the connection to free trade, poverty and privileged millionaires. News Update: The Opportunity Zones: Will it encourage investment in housing in low income areas? President Trump’s investor incentive program involving 8700 “opportunity zones” in all 50 states is in the news again, with a news release on guidance for investors. Its purpose is to create businesses and jobs in low-income areas and lift residents out of poverty. Treasury Secretary Steven Mnuchin predicts that $100 billion in private capital will be invested in the new zones. “This incentive will foster economic revitalization and promote sustainable economic growth.” Investors could save up to 15% on taxes and will need to be committed to the investment for a set time. Most multinational corporations are located in congested cities and don’t want a change in the profit status quo or their stock values. It’s not that corporate greed is indifferent only to poor people, you see opposition and a lack of funds for housing development of any kind, for any type of buyer. From California to New York to Florida, that attitude is similar. President Trump’s “Make America Great Again” is a big pain for them which is why attacks on Trump are so persistent and well funded, and enabled through big media propaganda. Free trade might have made sense in the 1980’s, but as it matured, the rate of poverty, national debt/deficit, problems in the US, Canada, UK, France, Germany, Australia, Sweden, and other advanced nations has rocketed. The fallout has been so intense in the US, it generated a backlash and the election of Donald Trump to correct the problem. Ending free trade and bringing jobs back from Asia is great, yet it won’t solve the housing crisis quickly. In fact, if companies relocate to San Francisco, San Jose, New York, Miami, Los Angeles and other congested areas, it worsens the issue. With good paying jobs in lower density cities, demand in low affordability cities eases. Chicago, Philadelphia, Phoenix, Baltimore, Indianapolis, San Antonio, Detroit, Kansas City, St Louis, Columbus, Cleveland and many other other neglected cities would become very attractive for Millennials looking for a low priced home. Who would argue against wealth redistribution and building the heartland of America again? From Realtors to homebuyers, bankers and construction workers, to appliance, flooring and furniture retailers and builders, this coming era is very positive. It’s not just conscience about the unfortunate — it’s healthy for everyone. So why is this problem not resolved? In all, only 57.1% of new and existing homes sold between the beginning of April and end of June were affordable to families earning the U.S. median income of $71,900. This is down from the 61.6% of homes sold in the first quarter and the lowest reading since mid-2008 — from NAHB report. Solutions for affordable housing have always been present but never chosen. It keeps getting worse. 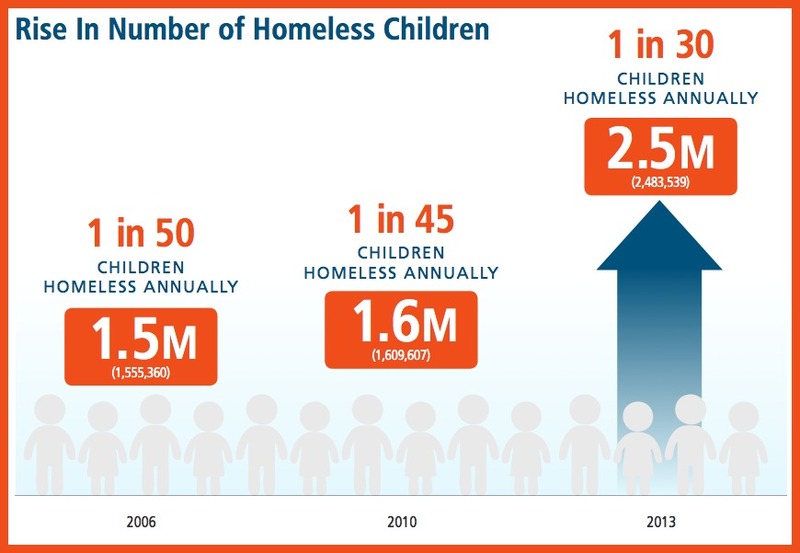 It appears the crisis is showing up in smaller cities too and the number of children involved is staggering. The problem isn’t just indifference, politics, and greed, it’s also ideologically-based as well. Affordable housing solutions can only come from national, state, and local political efforts. The key is to fortify the building of new housing many different ways — force funds into housing development and strip opposition power to stop housing development. 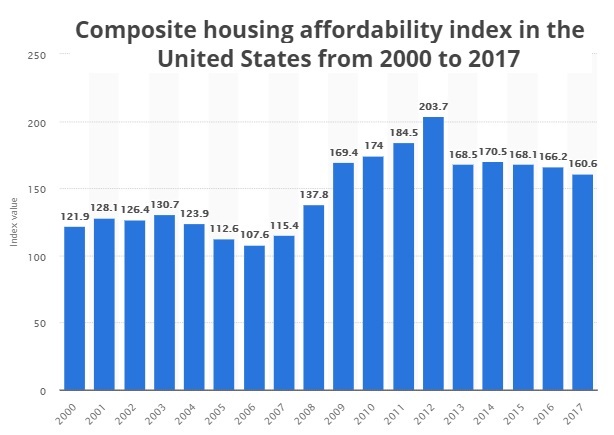 Chart courtesy of WTFRLY.comFrom the Brookings Institue: “in 2010 – only 11.2% of unsubsidized apartments were affordable to very low income households – and matters have gotten worse. In 2016, it’s only 4.3%. 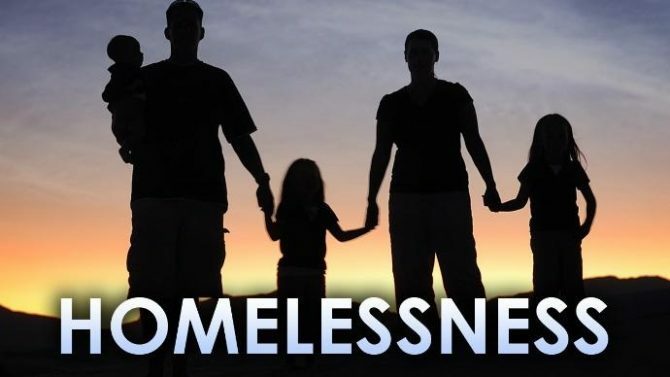 Given the wealth and capabilities we all have, people should not be homeless in Toronto, Vancouver, Los Angeles, the Bay Area, New York, Atlanta, Dallas, or Miami. And paying 60% of monthly income for rental payments is unacceptable. One key solution among many is to develop land and build more housing. Governments have wasted 10’s of trillions of dollars in the last 10 years and could easily have solved this persistent problem easily. In the U.S. president Obama sent more than $8 Trillion to unknown sources overseas. How much housing and new domestic GDP would that have created? What Causes a Housing Crisis? The core cause of housing crises appears to be income inequity, poverty and greed, government antipathy, local development opposition, and how governments constrain land usage. It is politics. In 2018, the lower and middle class are victims of the Free Trade era. Jobs have gone offshore and more people are poorer. Big multinationals avoid paying taxes in the US and foreign business ownership means businesses don’t care enough to support affordable housing or local needs. Investors too are global investors and care more about stock values and dividends than they do about people in Canada or the US — indifference, apathy, greed. In most instances, it is the long standing politics of suppression, regulation, restriction, and NIMBYism that hasn’t been challenged by us all. Who stops development — The rich who want to protect their stock value and property values, leverage cheap labor abroad, and avoid paying taxes in the US or Canada (free trade). Sometimes, they lead local NIMBY groups to stop development of affordable housing and dry up funding. Where resistance to building is strongest, homelessness and low affordability reign. In California NIMBYism and eco-based delays are considered a right. But if interest rates rise and housing materials, labor costs, and land prices increase, this situation could blow up nationally. In most instances, it is the long standing politics of greed, restriction, and NIMBYism that hasn’t been challenged by us all. 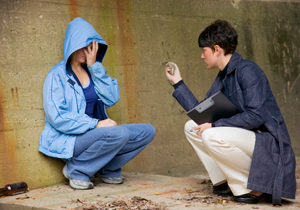 The suffering of homeless people and those one paycheck from the street tears at the fabric of society. The habitat for humanity charity is one example of people doing wonderful things for the homeless or poor families. There are ways to work together to beat systemic opposition and barriers. We just need to see value in it and do our part to support more housing! While some of us enjoy more secure employment in 2018 and higher wages, housing statistics reveal the cost of homes and renting is rising faster than most can keep up with. The result is a cost burdened rental market. And sadly, prospects for more affordable units aren’t getting better. And there are so many unintended and sad consequences, problems that come back later when these kids grow up. With the huge Millennial generation coming into their family formation years, the demographic picture looks tense. Add big immigration into the US and you’re going from the pan into the fire. If over indebted Millennial’s own families fall under, we’ll see an unprecedented problem with low income and childhood squalor. How Does the Housing Crisis Hurt Us? Is there a correlation between affordability and housing crashes in individual cities? The poor haven’t benefited from the recent US economic recovery as such improvement can take many, many years. Something must done to accelerate redistribution of wealth into cities hit hard by the last recession. Working homeless people deserve something better. Female war vets are suffering. The Veterans Administration estimates there are currently 1.8 million female Veterans. And a sad number are suffering from post-traumatic stress and brain injuries. The demise of free trade along with the use of trade tariffs imposed by the Trump Administration will stimulate American GDP, yet affordable housing can still be blocked by local and regional governments (Not in my backyard). Additionally, a plague of political roadblocks still stand in the way of a comprehensive effort to ease the housing crisis, let alone fix it. 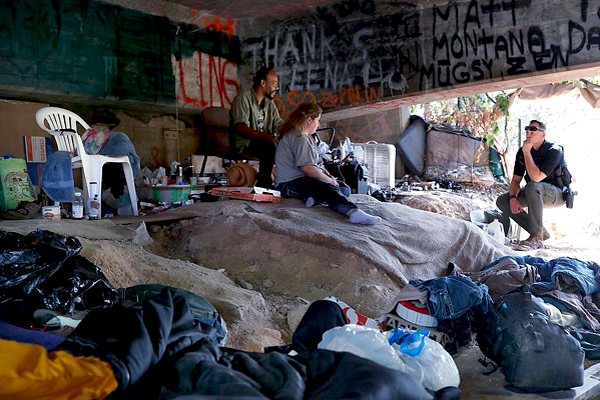 There are people who don’t want this fixed — the NIMBY’s and the Democrats who intend to send jobs back to Asia. Sending industry back to Asia at this point will result in a recession which is hardly going to be good for the working poor. “We thought things were getting better, but actually they are getting worse,” said Mary Anne Sullivan, a partner at Hogan Lovells — from the Washington Post. Researchers found that short term housing funds didn’t work because after a rent controlled price period, the rents zoomed out of control. Housing initiatives don’t work because they’re too small scale and don’t fix the core problems. It absolutely is politics and the sooner we shine the light on the real culprits, the faster we can improve living for all of us. This is the Bay Area’s 2040 plan’s outlook for housing affordability. 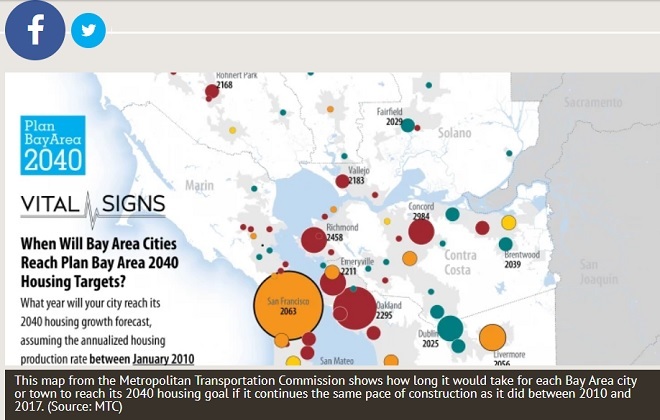 By 2295, Oakland will hit its targets. Up in Canada, the housing crisis is in full bloom. The problem is restrictions on land use, which has made properties too expensive except for the small number of millionaires who actually do get to build on that land! A lack of outrage shows Canadians have become disempowered and apathetic. Not enough homes or multifamily buildings can be built in Canadian cidties to satisfy demand. And this is demand that has been flattened by made in Toronto economic policies. Record high prices in Toronto and Vancouver continue to worsen and it’s very unlikely home prices will fall much due to low availability. Others protest that new housing might deflate prices casuing a Toronto housing crash. Both the Vancouver and Toronto Housing markets could crash which means the homeless will have overindebted laid off workers to join them on the streets. Much of the debt Canadians carry is from trying to keep up to an unrealistic lifestyle. Worse a housing crash in Toronto or Vancouver would likely be a shorter term event followed by high prices once again. And the recent news reports about Canada’s richest families owning as much all of the Eastern Provinces combined tells us that income inequity is part of the problem. The need for programs in all major Canadian cities will grow. But help isn’t coming. Business blames government and government blames parliament and ideology. In fact, there always seems to be an excuse of some kind for not acting. And some suffer the affordability crisis much more than us lucky ones. Will our luck run out if we lose our jobs in the next recession? Why is the Land Restricted? And politicians suggest that enough plots of land exist in unused within cities to accomodate all the cities housing needs. Sticking apartments in industrial lots or defunct commercial areas is not an acceptable solution. Scratching up abandoned land and demolished condemned properties still requires developers to stick their neck out using big funds to build in these places. And who is to say the endless red tape can be cut? Although the affordable housing problem isn’t covered by the big media much, lack of housing is a major social problem and one we all need to be part of solving. Simply taxing the rich and redistributing the funds to affordable housing initiatives would help. But more is needed. Tax credits, grants, new land, and assistance programs can help keep the problem out of the crisis level. There might be a belief among some developers and politicians that a lack of housing acts as a catalyst for housing demand and hence construction. Natural market forces will correct the problem. Yet markets today are international, and there is little concern for local populations wages or housing needs who “have it better than other poor countries.” Construction never keeps up with demand and often, the wrong types of housing gets built and the “affordability” issue is never solved. 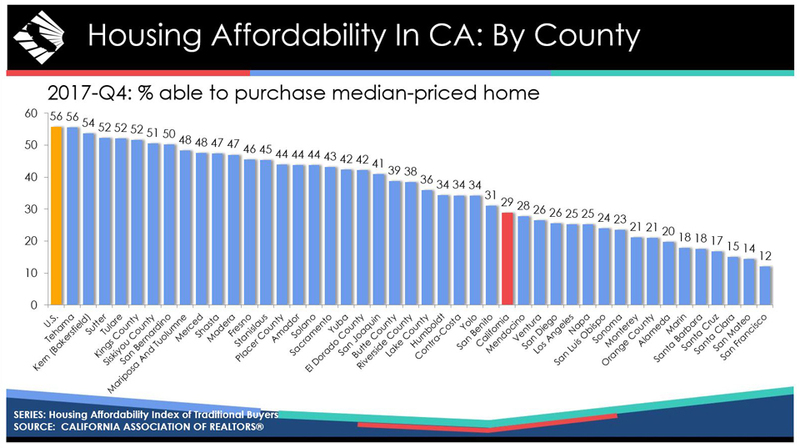 San Francisco is the least affordable county in California, a state that has the lowest rate of home ownership in the nation. In California on average, an income of $111,260 is needed to make monthly payments of $2,780, including principal, interest, and taxes on a 30-year fixed-rate mortgage at a 4.17% interest rate. This post is about the state of affordable housing and ideas on how more affordable housing can be generated. Such development of new condos, apartments and multifamily properties will not deflate housing prices but instead would create affordable housing for those who don’t have it currently. The problem of limited affordable housing in New York, Boston, San Jose, San Francisco, Seattle, Miami, San Diego, and Los Angeles is most acute. Yet other markets such as Dallas, Houston, Philadelphia, Las Vegas, Phoenix, Denver, and Atlanta are beginning to feel the affordable housing pinch. Many of these are still fighting housing battles from previous decades and they’re likely exhausted. You can’t help feeling that apathy is a big element in the housing crisis. High home ownership costs, taxes, and high rental housing costs are worst for those with the lowest incomes. A Harvard University study found that 80% of renters earning less than $30,000 were cost-burdened renters. This creates severe financial hardship and there are still a lot of working poor people who might be living with relatives or in their own vehicle. Stats show that rents have risen 10 times the rate of wages. The rich are getting richer and the population of low income citizens is rising. That predicts a bigger crisis in affordable housing in future. These charts of Google searches reveals more people are concerned about homelessess and affordable housing today. The state of California has it worst it seems. There have been 500,000 post recession jobs create while only 50,000 housing units have been built. California’s restrictive building and land use controls have made it almost impossible for developers to build. The State of the Nation’s Housing 2018 report by the Joint Center for Housing Studies of Harvard University shows low-income renters continue to bear the brunt of rising housing cost pain. 47% of renter households paid more than 30% of their monthly income for rent and that’s 20% higher than back in 2000. Rising wages won’t help. Rents are climbing faster than wages. Major studies have taken place before on the issue of the lack of affordable housing. Back in 2003, 15 years ago, the Brookings Institute conducted one. 15 years later, not much has changed for the rent challenged population. Why would we think it would? There’s little support, ideas or compassion for these disenfranchized people. In the Free Trade era, a rapid polarization of income has drawn wealth away from most of the US population. Without money to purchase, no one is willing to support the low income market. So while tax incentives and welfare reform could help, it can’t solve the central problem of low income. Free enterprise companies won’t serve this market. The free market will not serve populations with no money. Unless fair trade is implemented, the middle class will shrink further, and more renters will fall into the challenged pool. So what More can we say about Homelessness, Poverty, and the Housing Crisis? We can make others aware. Progress grows with people. We can reiterate that economic and inequality are driving the problem and that business and even greedy governments see little value to in changing rules and spending money for a group of buyers with no money. Should President Trump revive the middle class and bring manfuacturing and other forms of high paying jobs back to the US, it would still take many years for the underpriveleged to find a roof over their head. Politicians and business heroes need to apply pressure to accelerate the home building process befoe the scourge of homelessness spreads and leaves more lasting social scars. 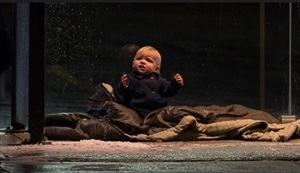 Please Do Share this post on homelessness and the affordable housing crisis on Facebook. It’s good to share! !